Beauty guru Jaclyn Hill is well known for her glowing, radiant skin and now she wants to share the secret behind that perfect shine with her followers. 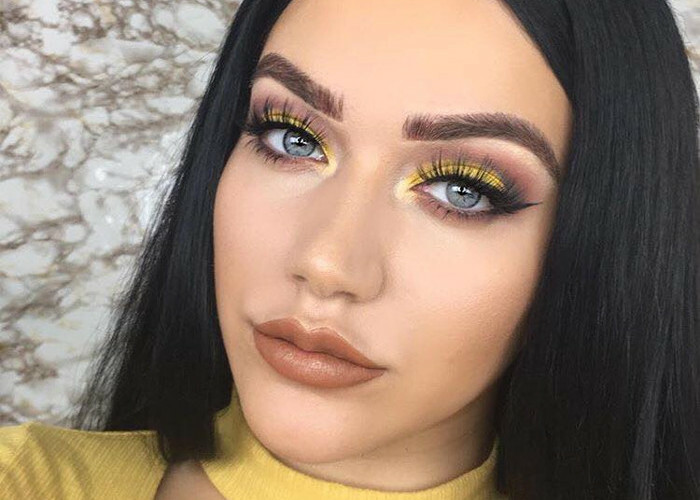 The youtube star has teamed up with BECCA Cosmetics to launch the much-anticipated limited edition BECCA x Jaclyn Hill Champagne makeup line that is already available for purchase online at Sephora. While the Champagne Face Palette is the star of the collection, the line comprises many more amazing products that aim at bringing out the best in the healthy glow of a complexion. Below discover what’s included in the collection and hurry up to snap up your favorite product until it flies off the beauty counters and online shelves! Available only online at Sephora, this face palette is comprised of five delicate shades of blush and highlighter ” two highlighter shades, two mineral blush tones and a luminous blush coming in Rosé Spritz ” that strive to illuminate the complexion and give you all the glow you could ever want. You are free to layer the colors and mix and match the products with the ones you already have to create the desired effect. This is yet another highlighter, only in a liquid formula enriched with light-reflecting pearls to create that desired dewy look with a natural finish. Besides being a highlighter, the product also serves as the perfect mixer to your favorite foundation, primer or moisturizer, allowing you to create a variety of effects and customize your ideal glow. Jaclyn’s collection isn’t only about creating the perfectly illuminated healthy complexion, but also adding the ideal shimmer to your peepers without looking overdone. Composed of 5 warm, neutral colors ranging from earth tones to nudes and a feminine pastel pink, the eyeshadow palette gives you endless possibilities of mixing and matching, creating lovely natural daytime looks and mysterious party eye makeup. The eyeshadows boast either a matte or lustrous finish, the former ones being highly pigmented, while the latter aiming at adding the ideal depth and shimmer to your eyes. This is yet another magic highlighter available in the collection, which is perfect for accentuating the high points of your face. It provides a sophisticated, gentle glow, looking natural and naturally boosting the health of the skin.